We’ve been blessed with a lot of children who love to eat salad. This is one of our family’s favorites. 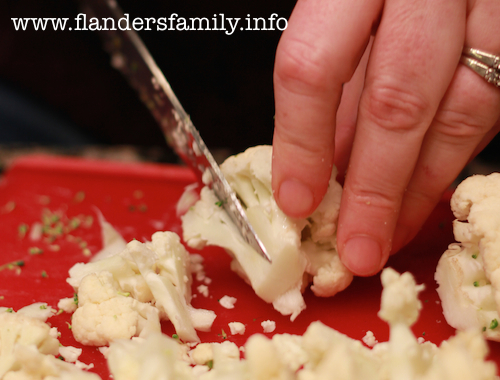 I usually make a big enough batch to fill a punch bowl and seldom have a single serving left by the end of the meal. 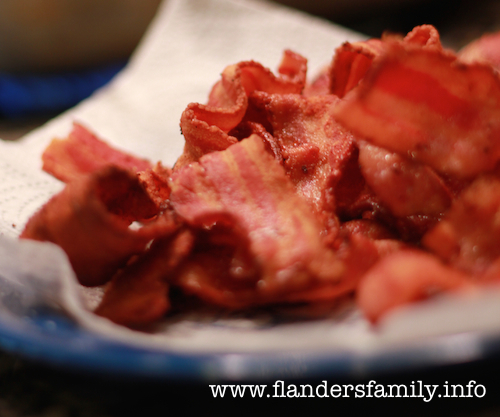 Fry bacon, then set aside to cool. 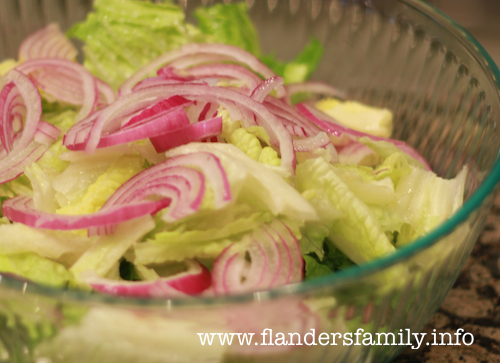 Wash and dry lettuce, then tear into small pieces per directions and place in a salad bowl. 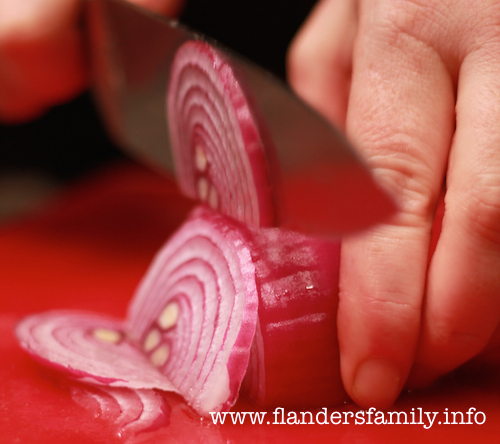 Slice onion very thinly, add to lettuce. 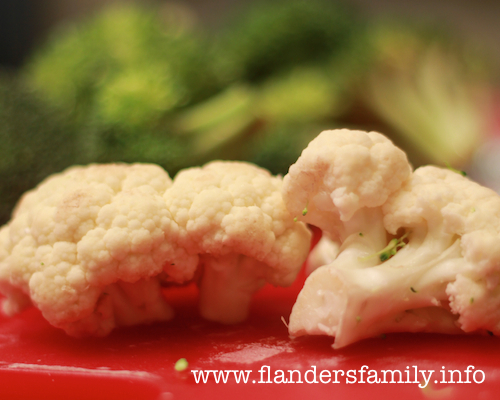 Chop broccoli and cauliflower coarsely, then add to salad bowl. 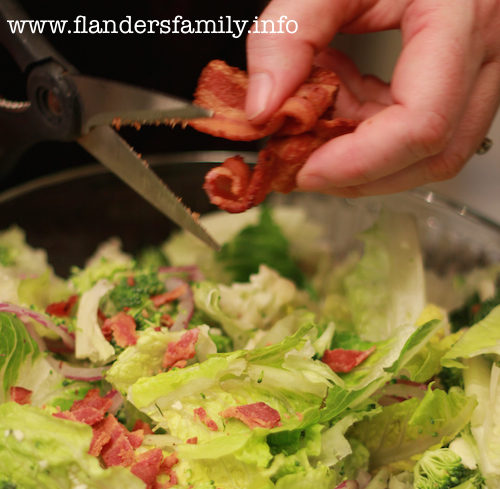 Crumble bacon over all (or do as I sometimes do, and use a pair of kitchen shears to cut it into small pieces). 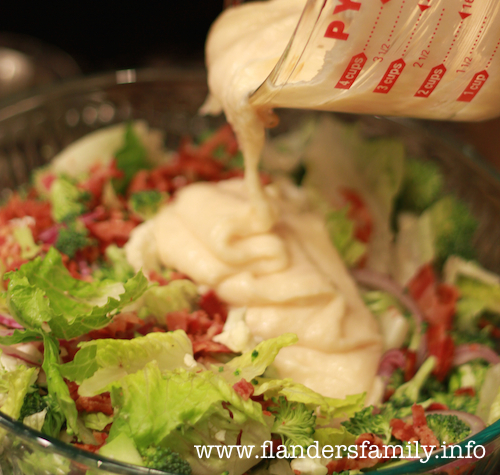 Mix last three ingredients to make dressing, then toss with dressing until thoroughly coated. 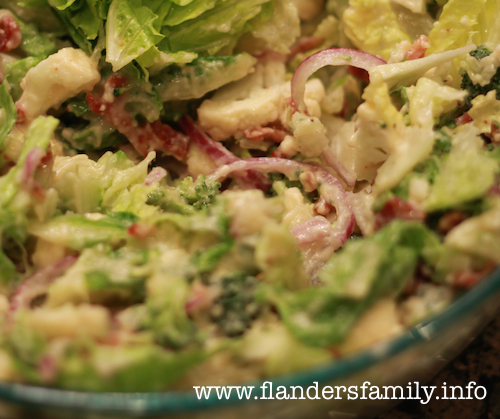 Transfer to salad bowl and serve immediately. Enjoy! *Step-by-step photographs courtesy of my daughter, Rebekah, who is a huge help in the kitchen, whether she’s cooking or shooting (or both! ).